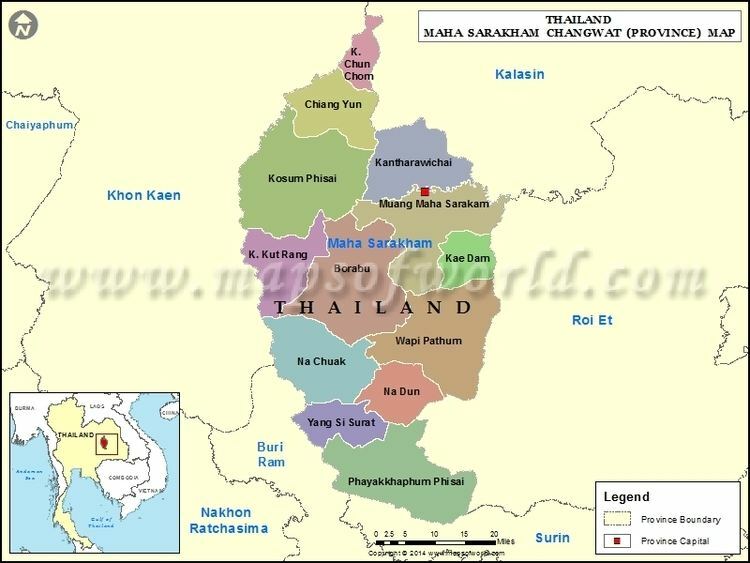 Maha Sarakham (Thai: มหาสารคาม, [mā.hǎː sǎː.rá.kʰāːm]; also spelled Mahasarakham) is one of the provinces (changwat) of Thailand. It is in the northeastern (Isan) region of Thailand. Neighbouring provinces are (from north clockwise) Kalasin, Roi Et, Surin, Buriram, and Khon Kaen. The town of Maha Sarakham is the province's capital. It is the home of Mahasarakham University, the largest university in northeast Thailand with 37,342 students, and Rajabhat Mahasarakham University. The province is mostly a plain covered with rice fields, only in the north and east are small hills. The province is between 130 and 230 m above sea level. The main river in the province is the Chi. 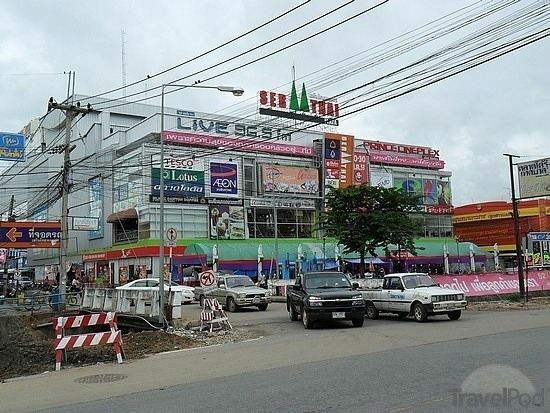 Maha Sarakham was originally a satellite town of Roi Et founded in 1865. 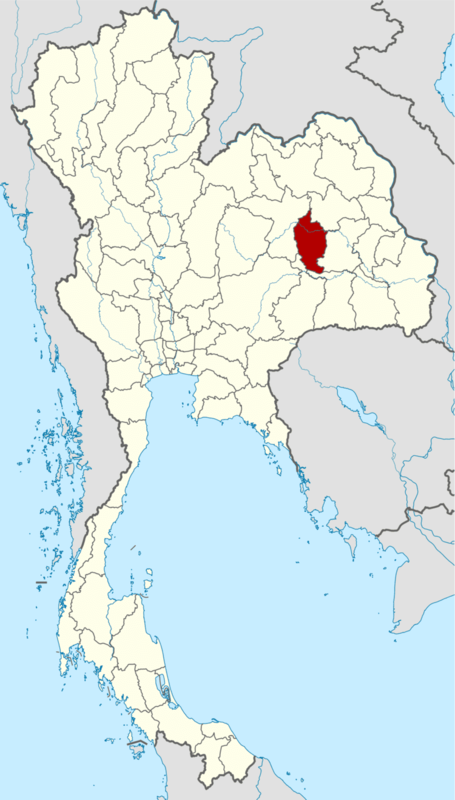 The governor of Roi Et sent 9,000 people to populate the new town, and one of his cousins as its governor. 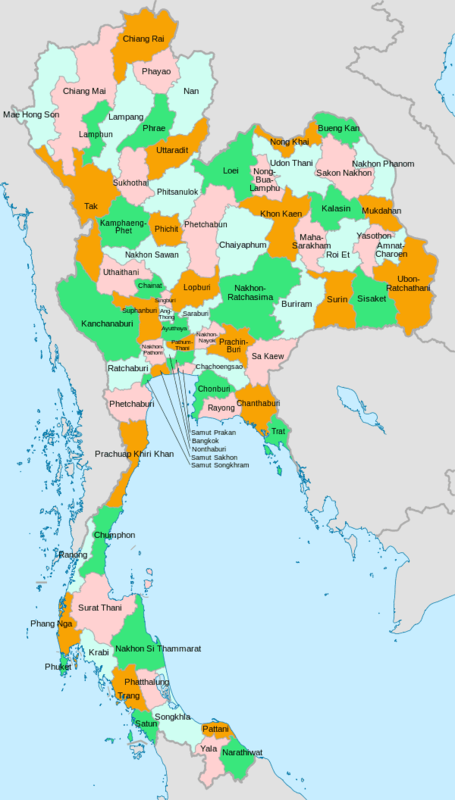 In 1868 the central government in Bangkok declared Maha Sarakham a province of its own under the supervision of Bangkok. 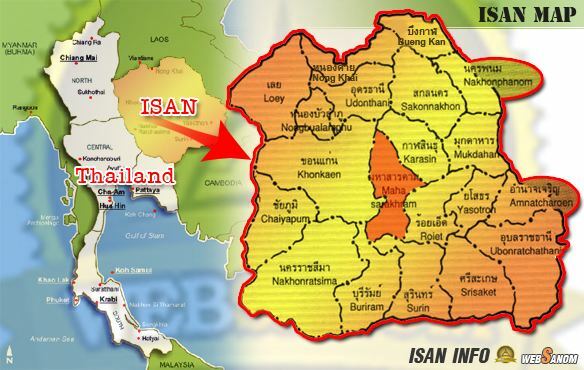 One of the reasons was that this step weakened the power of Roi Et. The provincial seal shows a tree in front of rice fields, symbolizing the richness of resources in the province. The provincial flag shows the seal in the middle, in a brown horizontal strip. Above and below is a yellow strip. The brown color symbolizes the strength and the perseverance of the people in the province, who live in the rather dry climate; the yellow color symbolizes the robes of Buddhist monks as evidence of the faith of the people. The provincial tree is the woman's-tongue tree (Albizia lebbeck). The tree symbol was assigned to the province in 1994 by Queen Sirikit. The provincial flower is the West Indian jasmine (Ixora). The province is divided into 13 districts (amphoe). The districts are further subdivided into 133 sub-districts (tambon) and 1,804 villages (muban).